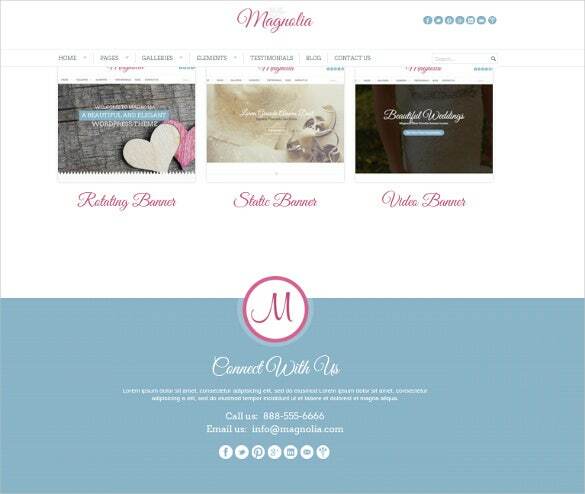 Website themes designs and crafts website templates in a responsive layout which would make it fit in all screen sizes like desktop, laptop, and smart phones. 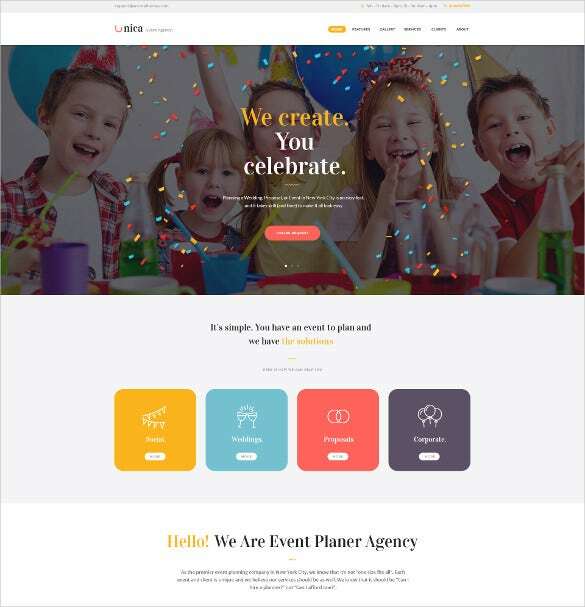 The event themes are ideal for parties, weddings, conferences, event management agencies and related business.You may also visit Event PHP Themes. 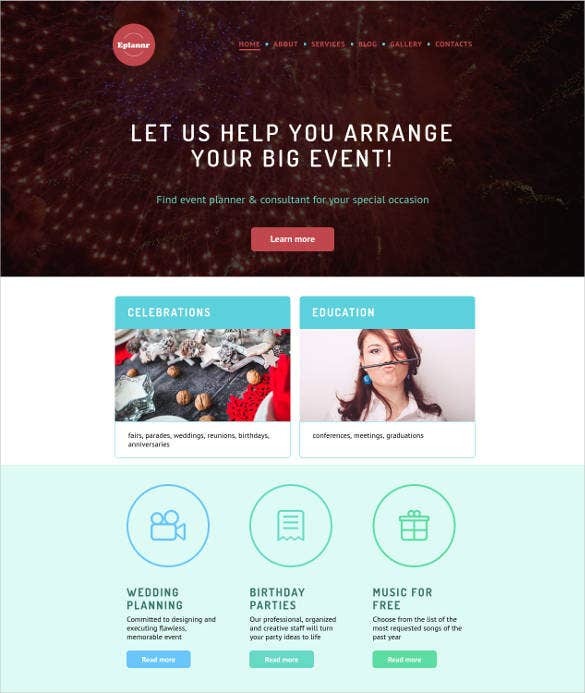 This is an event planning website theme for Event Planners and Organizers. 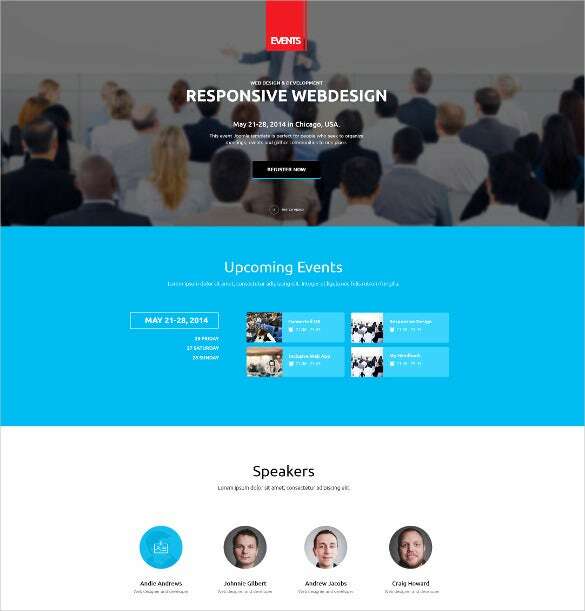 It is responsive. 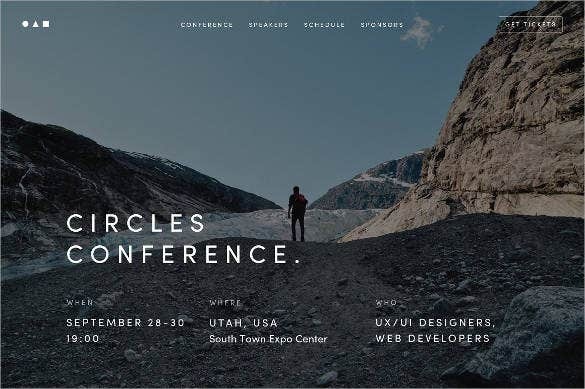 It gives an account of kinds of events managed by the Organizer. 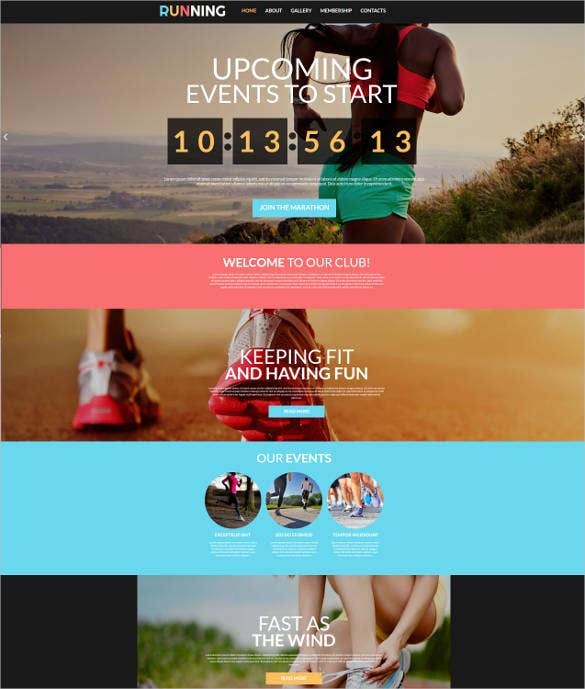 It’s an image-based interface and that makes this template a lively one. 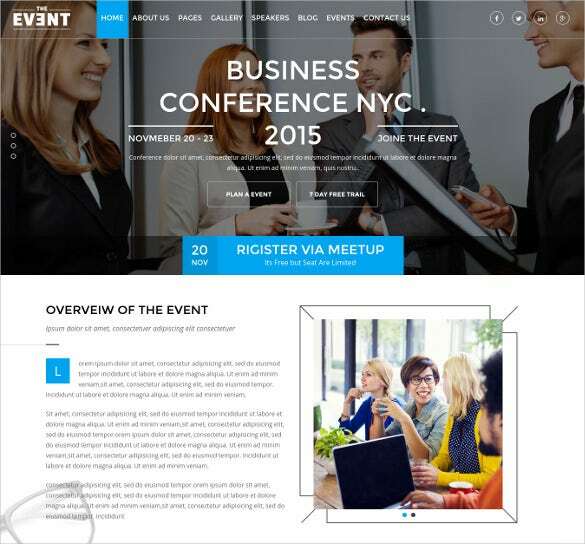 This is a very suitable template for companies that plan meetings and event management websites. 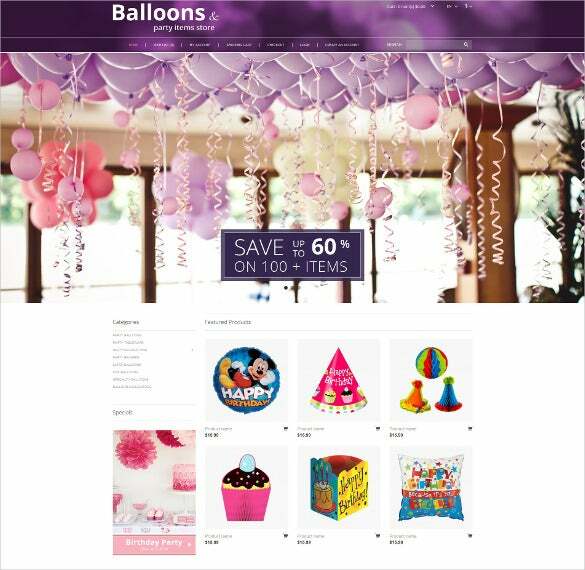 It has a purpose-oriented design and special features like gallery, speakers, contact information, Blog and other pages in the admin panel. 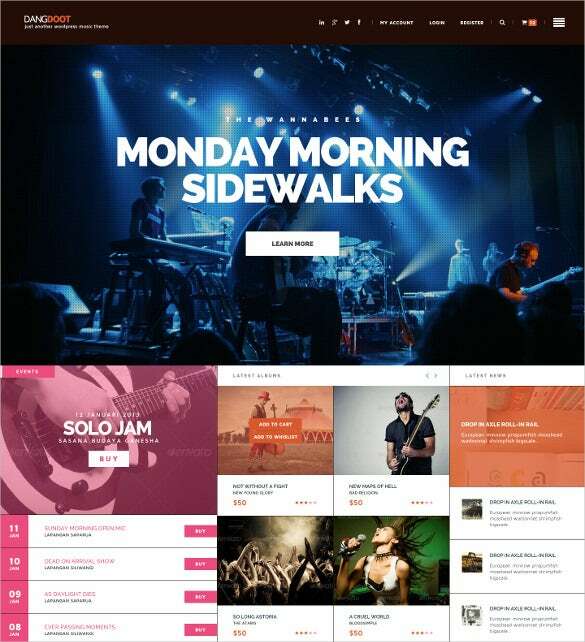 It also gives you a section for the overview of the event. 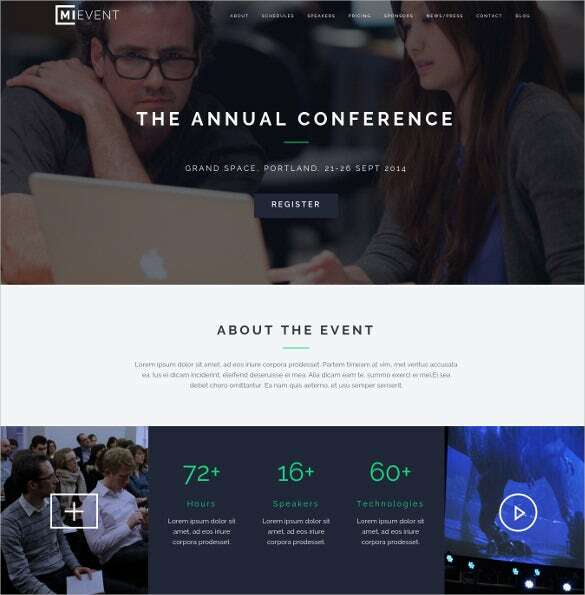 This Conference Event Responsive WordPress Website Theme has a very catchy colour combination giving it just the right mix of professional and trendy. It highlights the essentials at the top of the page with brief descriptions towards the end and the much needed admin panel gives the finishing touch. 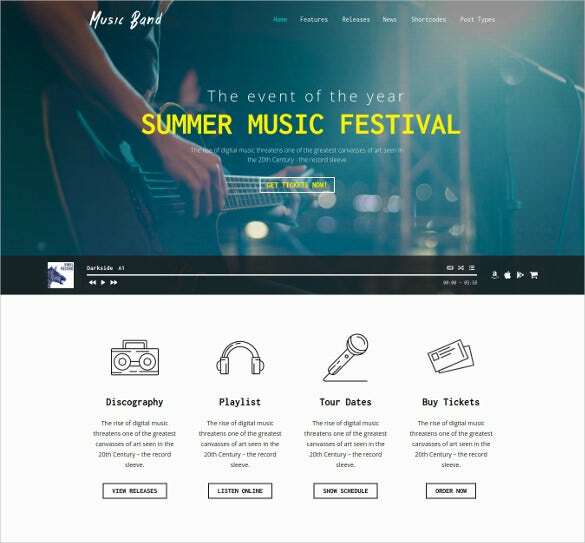 This Website template features the option to post a video on the homepage with other essential features on the left of the page. 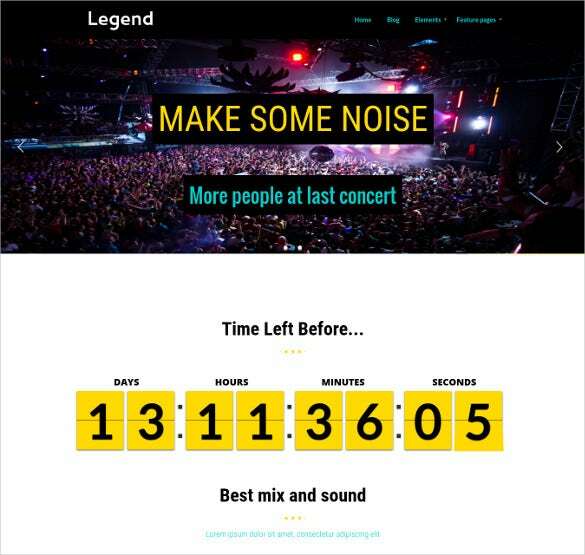 It also shows different social media platforms to highlight your event. 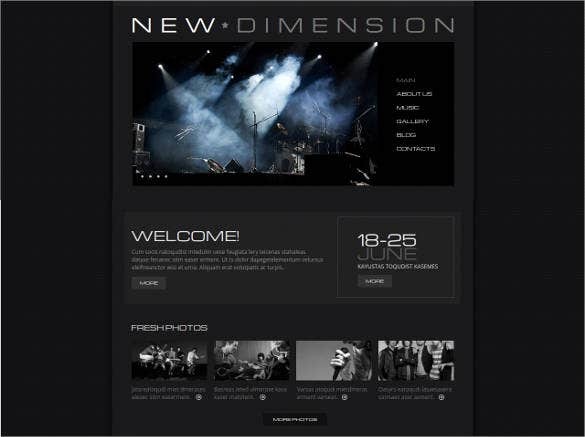 It is a simple and user-friendly interface with the desired flexibility. 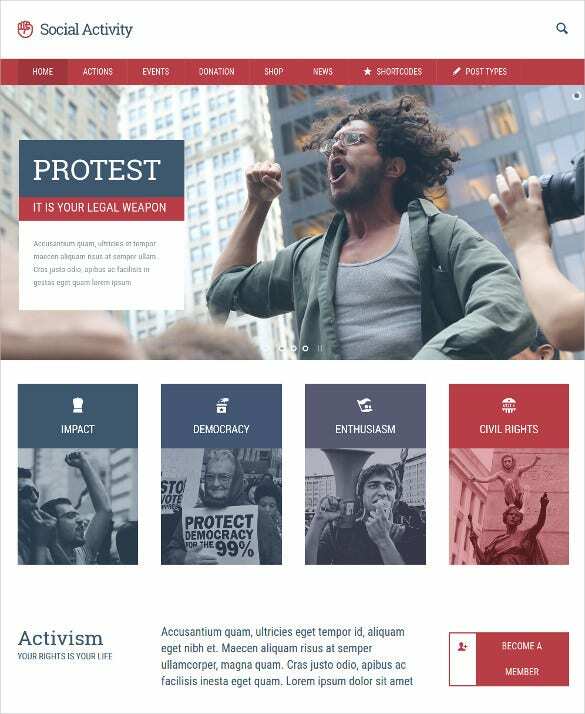 When you want to voice your opinion to one and all, this is just the right kind of website theme that you would want. 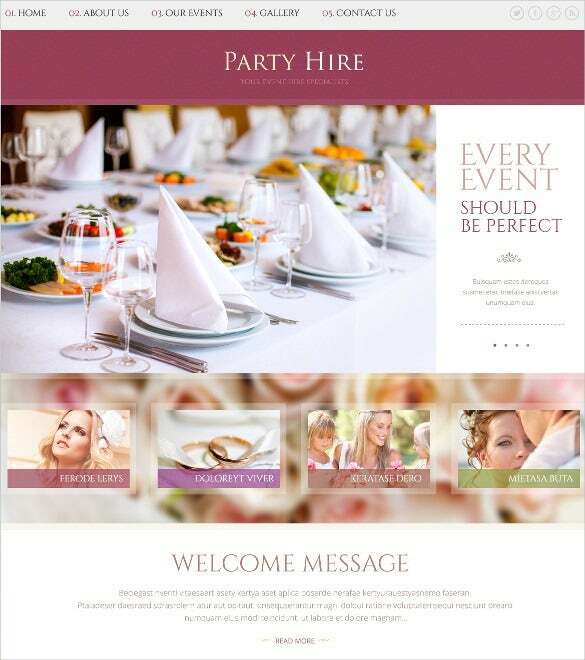 It is primarily an image based website theme. 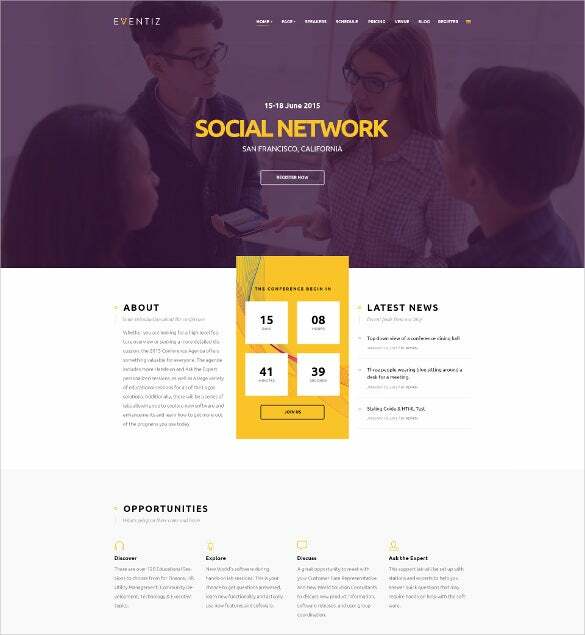 It is a clean and minimal design ideal for social movement websites, political parties and fund-raisers where a donation is involved. 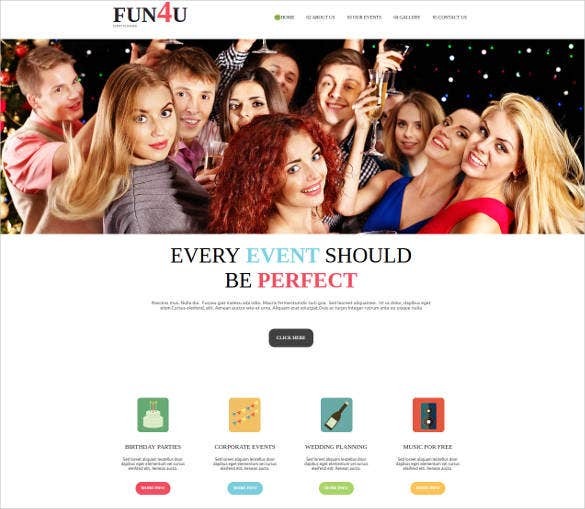 This easy-to-use website theme is best for organizing business events and for spreading the word about an upcoming event with all relevant details including a countdown to the main event. It has other important features like Blog, featured pages etc in the admin panel. 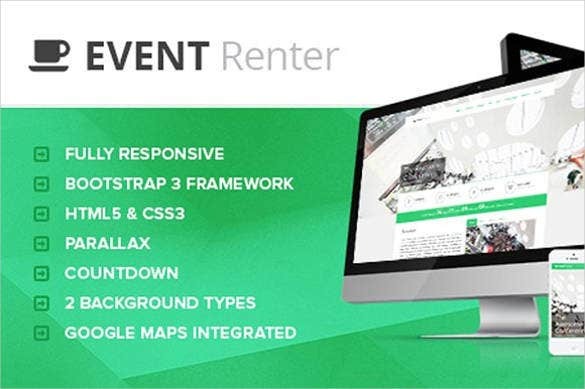 Also, website themes feature sliced PSD, cross-browser compatibility, back to top button, drop down menu, favicon design, Google maps and web fonts. 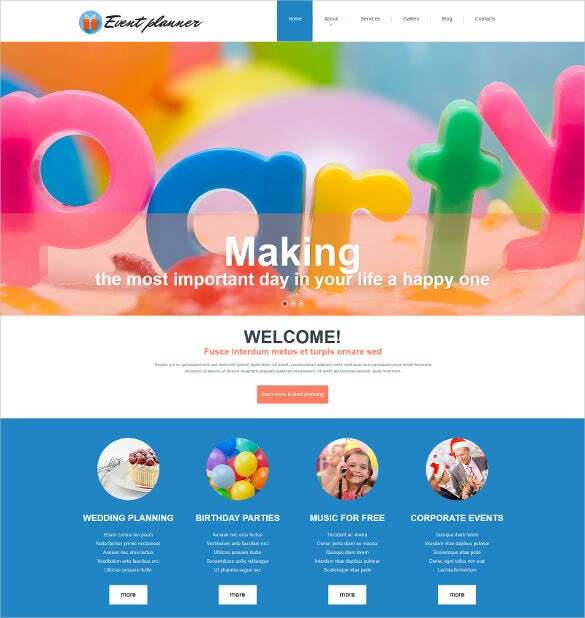 The theme is animated with HTML plus JS and is coded in CSS 3, HTML 5 and 1170 Grid system. 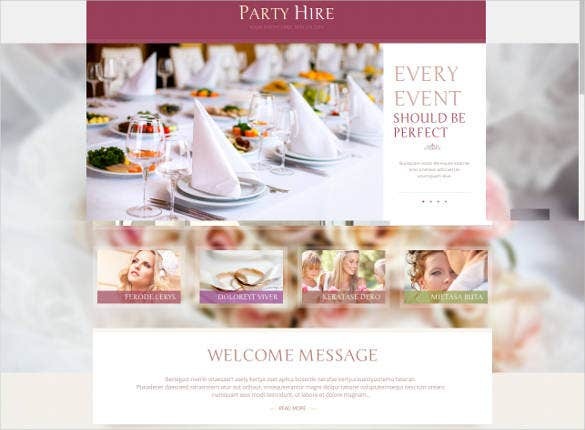 Built on a 2 column layout, the design has a contact form, gallery and gallery scripts.